SmartAxiom’s Beachhead product represents the physical security layer in the Fortress’ architecture. Its main functionality is to generate encrypted blocks at the data source and protect physical devices. This is optimized with security measures including signed software images, manufactured master keys, secure boots, and tamper-proofing. Therefore, sensors and devices are secured even if they are damaged and stolen. 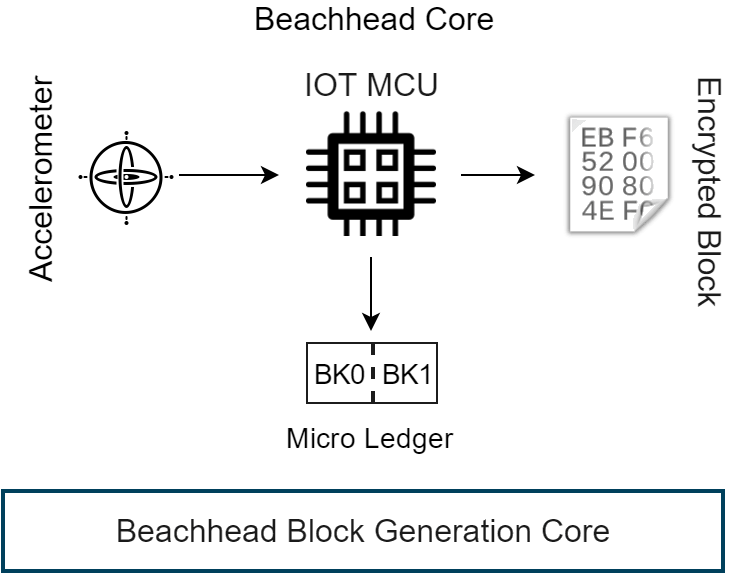 Beachhead Core: It is a microcode blockchain core library at IOT MCU (Micro Control Unit) providing functionality to generate encrypted blocks, micro-ledger to store nano-transactions. Secure Storage: Local file system encryption keeps internal device data safe and micro-ledger data.